#REF: 5908 FOR SALE , SUPERB 2 bed, 2 bath Bungalow Lola in LAS VIOLETAS, VILLAMARTIN. 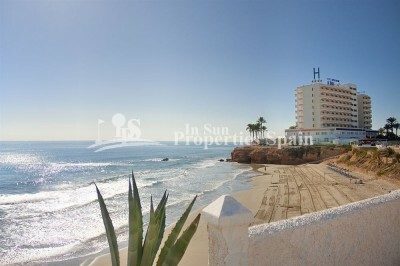 Directly opposite the communal pool and only 100m from Villamartin Plaza! 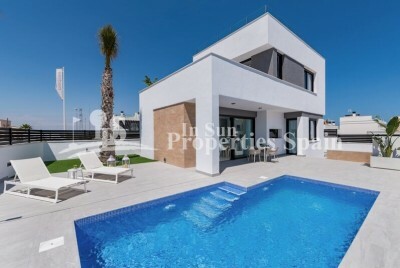 Located DIRECTLY OPPOSITE the communal Pool this SUPERB Bungalow Lola is located in LAS VIOLETAS in VILLAMARTIN GOLF. 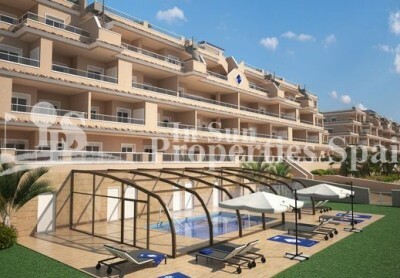 The 63m2 property is well positioned allowing you to enjoy the best of this Mediterranean climate the whole day though. The accommodation is distributed on ONE LEVEL and boasts; open plan lounge/dining area with wood burning fireplace and A/C, modern fitted american style kitchen, 2 spacious bedrooms, 2 bathrooms (with the potential to create a 3rd bedroom on the solarium), 32m2 garden with direct access to the communal POOL, 9m2 terrace (the perfect place to enjoy an evening glass of wine looking out toawards the pool) and 39m2 roof solarium with BBQ, perfect for alfresco dining under the stars with a lovely view to the pool and green areas. The property is alarmed and comes tastefully furnished. 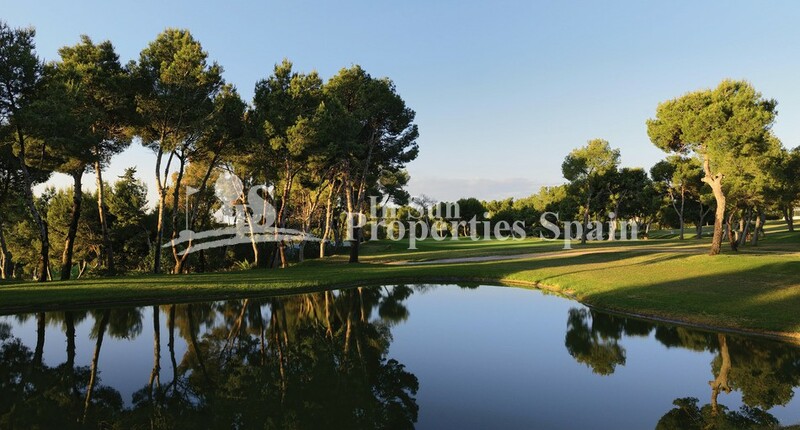 This is a gated residential in a peaceful location with residents parking, yet it is only 100m from Villamartin Plaza and 300m to Villamartin Golf Clubhouse. A great property perfect as a holiday home, rental investment or permanent residence. 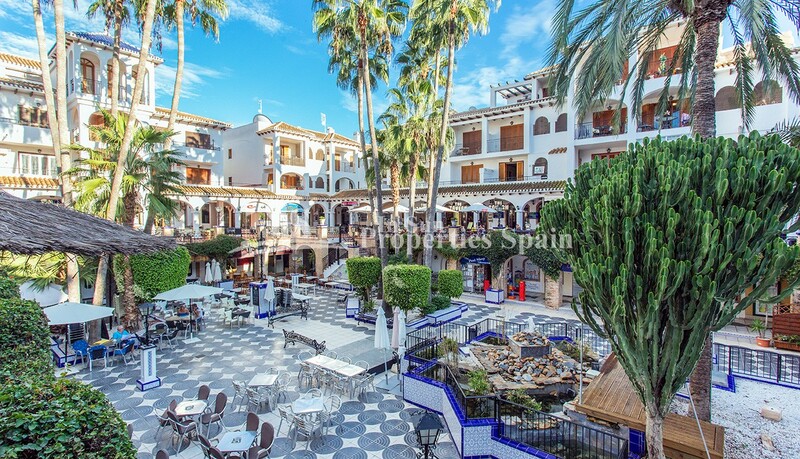 Gated complexes offer a secure, hassle-free way to enjoy a holiday home in Spain. It is easy to see the appeal and why these types of property are often described as ‘lock-up-and-leave’. 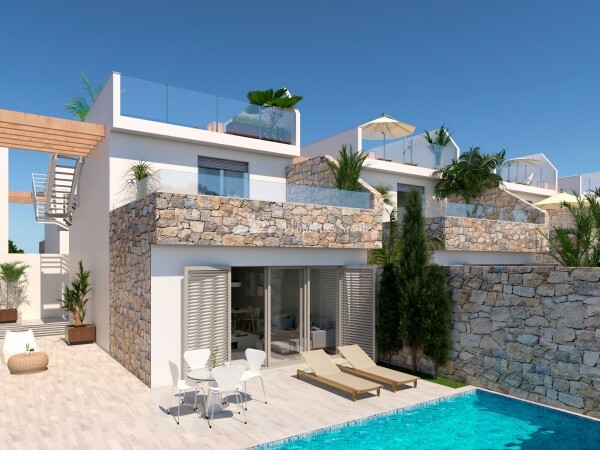 A holiday home within a gated development with fully managed communal areas requires little upkeep and brings peace of mind for non-resident owners who visit only occasionally. 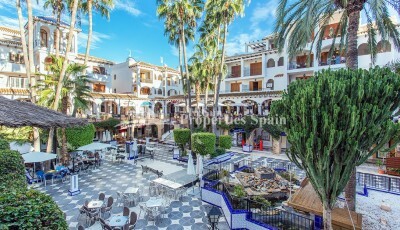 In addition, being part of a community makes it easy to make new friends of all nationalities and tap into the local social scene - Villamartín certainly offers that, along with a wide range of services. In additional to being surrounded by 4 prestigeous Golf Course it is very close to the well renowned international school El Limonar and the famous La Zenia Boulevard shopping centre. There are many other commercial centers including the well know Villamartin Plaza and La Fuente Centre along with many restaurants, fashion shops, supermarkets, banks, pharmacies etc. 3km from some of the best beaches in the region, open weekly markets, cinemas etc. 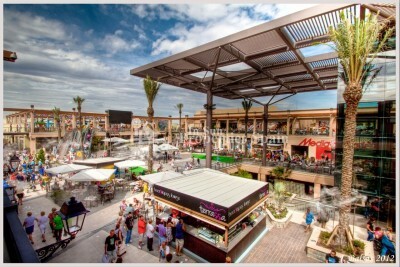 Villamartín is approximately 50 minutes from Alicante Airport and 30 minutes from Murcia airport.